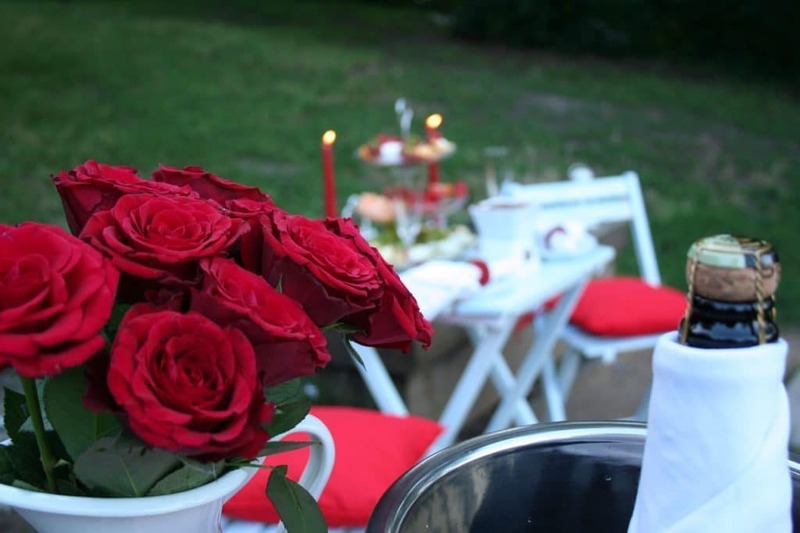 Being together with your girlfriend in Prague you simply can’t ignore the romantic atmosphere all around you. 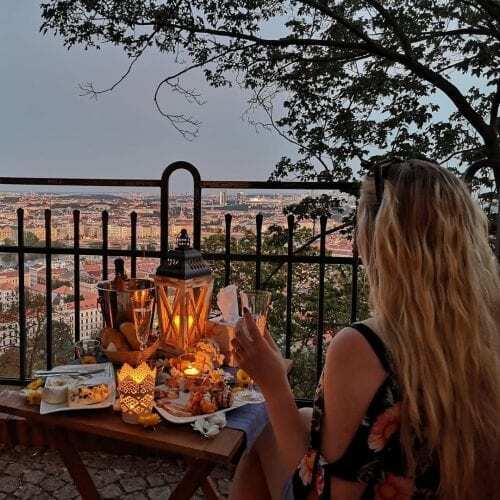 Cobblestone streets, beautiful parks, centuries-old buildings, cosy little cafes and amazing restaurants… A simple walk through Old Town, Charles Bridge, Mala Strana and up to the castle with a magnificent view, and you have already kissed her like a hundred times. Your first day will probably involve a lot of walking. And then you start to think about doing something romantic for her. Every minute she’s not around you grab your phone and start searching for different ways to surprise your girlfriend in Prague. There’s a ton of stuff on the internet, but all these restaurants, tours and museums aren’t really what you’re looking for, right? And now you’re here. Well, congrats! 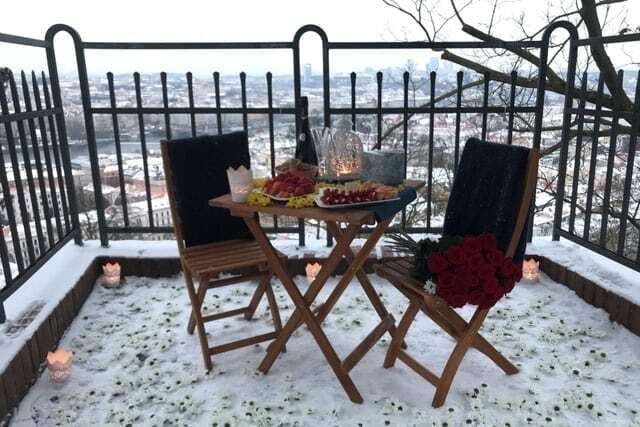 You cannot imagine just how easy it is to surprise your girlfriend in Prague. And the good part is – you don’t have to do anything except taking a walk in the park. Which you will probably be doing anyway, so you don’t even have to change your plans. 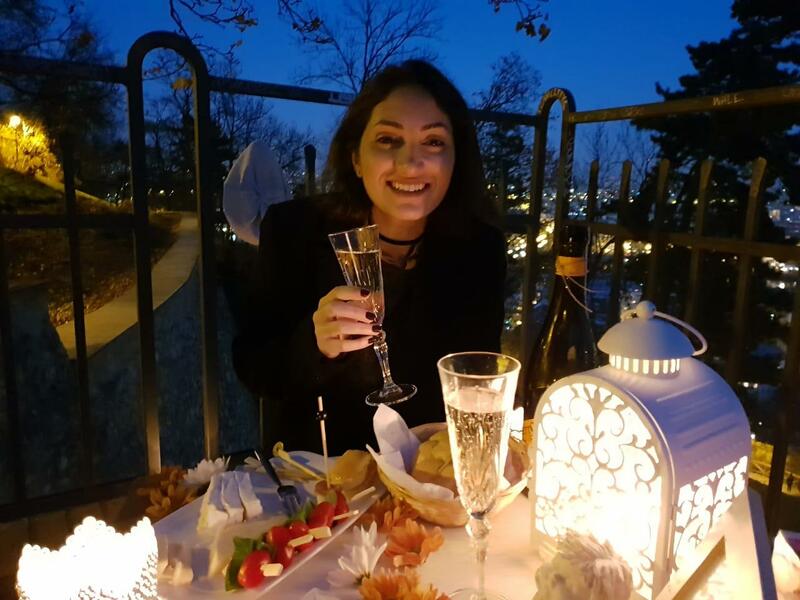 If you really want to do something romantic for your husband, wife, boyfriend or girlfriend in Prague – then Prague for Two is the way to go. Just as most of my clients say on TripAdvisor – it is going to be the easiest thing you have ever had to plan. All you need to do is contact me, and the rest will be taken care of. As soon as you send me a request, I will respond with all the details about the location and the menus. All you have to do is choose the menu option. I’ll get back to you with the invoice and the instructions, and as soon as the invoice is paid – we’re good to go. Payments are done through PayPal, where all major cards are easily accepted. It does not necessarily have to be a proposal. 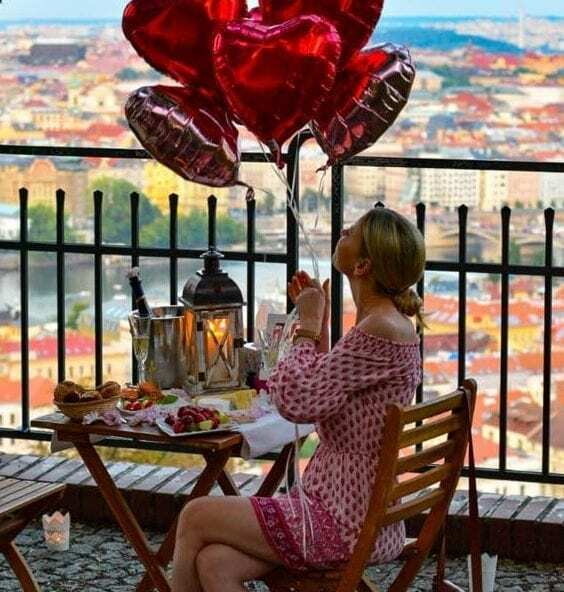 A simple romantic surprise for your girlfriend in Prague is more than enough to have her endlessly talking about it to all of her friends. And all that is just a click away. You can either write me an email through the contact form on this website, or press one of the app buttons below to contact me instantly. I always respond within minutes. Let’s make it an evening she will never forget!